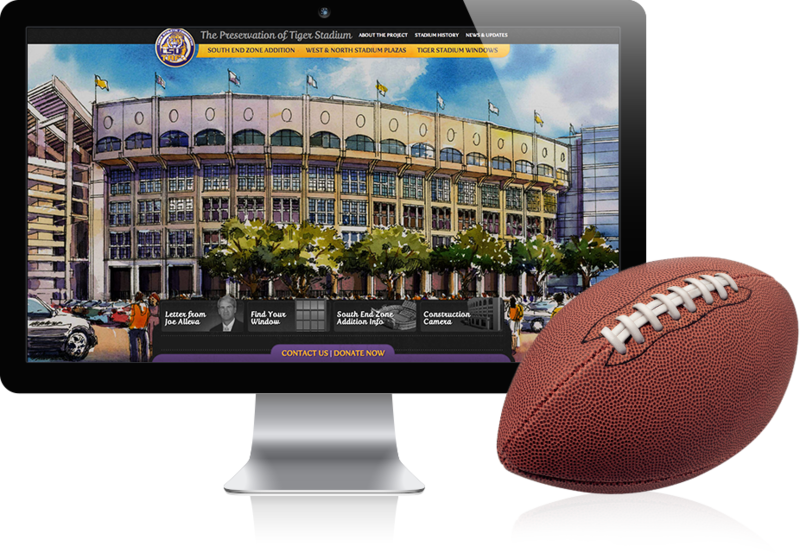 In early 2012, the Tiger Athletic Foundation was well into planning Phase II of the Preservation of Tiger Stadium campaign. 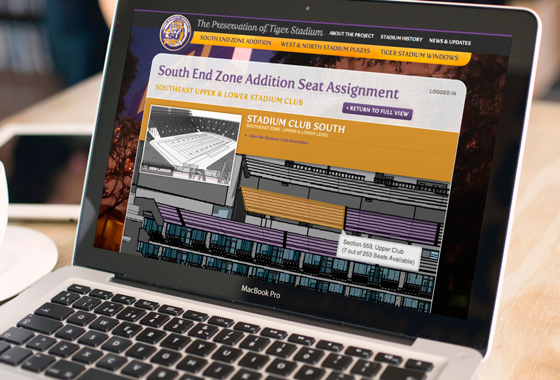 To obtain additional financing, the client needed a way to very quickly get donors to sign up for all of the newly planned seats & suites for the South End Zone Addition to the stadium. 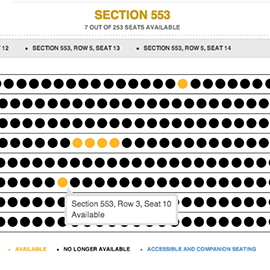 TAF was looking for a way to give potential donors a way to navigate through the planned seats and suites, view their availability, and reserve desired seats in a way that was not overwhelming. An award-winning microsite, preservedeathvalley.com, was developed to market the Preserve Death Valley campaign. Working on a tight deadline, Envoc created the custom streamlined process which allowed TAF to quickly gather over 1,000 waitlist applications and assign over 3,000 seats and 60 suites to donors in less than a month’s time. 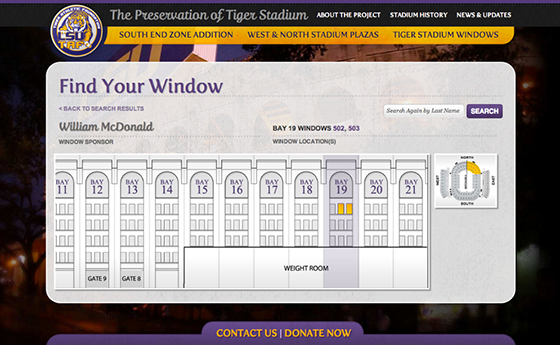 Envoc used the architect’s drawings and renderings of the football field to give potential donors and seat buyers a virtual tour of the planned addition. Not only were they able to see the location of each newly planned seat or suite from inside the stadium, but they were also able to view the field from there—the site virtually sat them in their new seats. 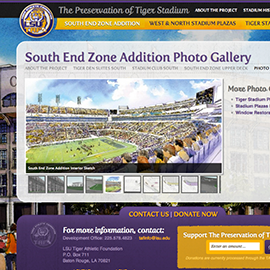 The new website allowed TAF to successfully fund two campaigns by donors in record time: the Window Project and South End Zone Addition.